A book’s pub date is always a bittersweet time for us at Ooligan. On one hand, it’s a happy time: we organize a launch party, we hold the fully designed book in our hands, and we pester friends and family to buy this book we worked on! But a release date also means we have to scale back our involvement with the book and its author, even if we’d rather continue working on it. 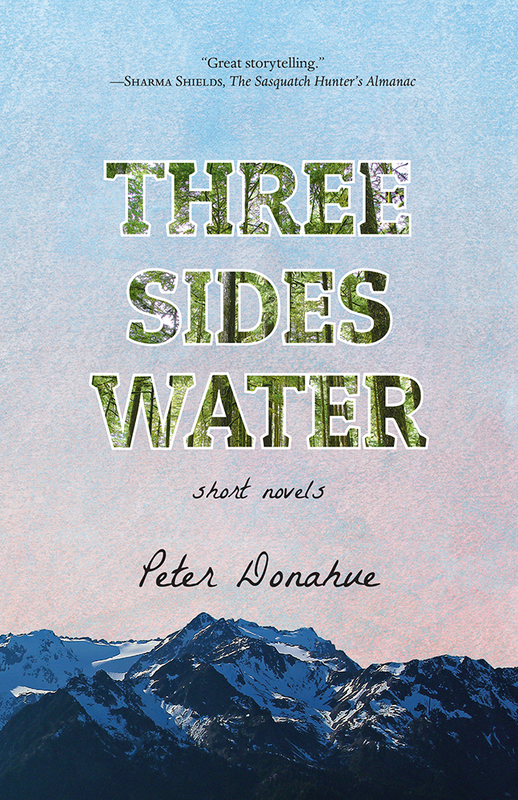 We celebrated the release of Three Sides Water at our launch party on April 28. On May 1, just a few days later, the book was officially for sale at Powell’s, Barnes & Noble, and Amazon, as well as independent bookstores in Oregon and Washington. The brunt of our work for Three Sides Water may be done, but we have a few more tasks to complete before we can say goodbye to this project. We will continue to use social media to increase awareness of the Three Sides Water ; we already have posts scheduled over the next two months. On the marketing side, we’ll submit the book for awards and track reviews, blurbs, and other publicity for the title. Additionally, we’ll remain in regular contact with the author during his book tour and correspond about potential conference appearances afterward. And if Peter schedules more interviews or bookstore readings, we’ll promote them across our social media channels and newsletter. Another thing we do for a book leading up to and after its release date is contact nontraditional outlets, or special sales, to stock the book. This includes stores that sell items related to the book, or stores based in locations similar to the setting of the book. In the case of Three Sides Water , this means contacting a lot of coastal towns in Washington and Oregon like Rialto Beach and Port Townsend, as well as small logging towns like Shelton. People don’t just buy books in bookstores, and it’s easy to forget that not everyone is as obsessed with local book vendors as we Oolies are. We hope that by stocking the book in these smaller stores, Three Sides Water can reach readers beyond those who shop at bookstores. In addition to those last marketing efforts, there are some other internal processes we have to conduct once a book’s pub date occurs. After that, however, we have to reluctantly step back from the book and look to our next adventure. Another title must be welcomed into the Ooligan family. Best of luck, Three Sides Water ! It was truly a pleasure to guide you into this crazy, wonderful world.